Leah was last seen on Buzzacott Lane in Furzton, just after 8.15am on Friday 15 February. She was walking in the direction of Loxbeare Drive and Chaffron Way. Leah’s family last saw her in Quantock Crescent, Emerson Valley, in Milton Keynes at around 10pm on Thursday 14 February. Leah was reported missing to police the next day, 15 February. Officers are now appealing for information following reports from three witnesses of a female that could possibly have been Leah by Furzton Lake on 15 February between 9.30am and 11.15am. The first witness, who was walking alone along the wooden boardwalk on the eastern side of the lake, saw a female between 9.30am and 10am. The witness described the female as using her phone, and appeared to be typing using both thumbs. The witness walked past her and said ‘Excuse me’, to which the woman replied ‘Oh sorry’. The other two witnesses, who were walking anti-clockwise around Furzton Lake together, saw the woman between 10am and 10.15am near the sports pavilion, and described her as being visibly angry, upset and crying. They then saw the woman again around 20 minutes later just after passing the Premier Inn, and described her to be in a calmer state. They also believe she may have been speaking to somebody on her mobile phone. “We have also visited more than 4,000 homes, spoken to 100 potential witnesses, and received more than 200 reports of potential sightings of Leah across the country. All of these reports have been investigated but as yet none have resulted in a confirmed sighting of Leah. “It has now been 62 long and heart-breaking days since our beautiful, wonderful daughter Leah vanished into thin air. When Leah was first reported missing we honestly believed that she would be home very soon. But that hasn’t happened and as each subsequent day begins we are filled with despair that another night has come and gone and we have received no phone call or visit meaning that Leah is still missing. 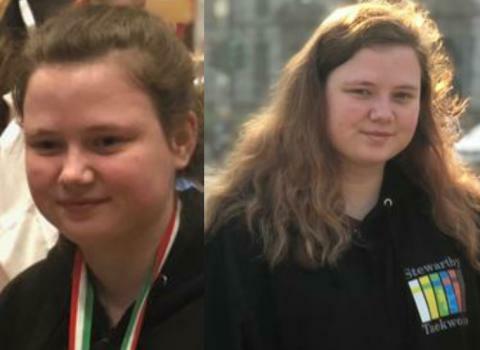 “The very generous reward offered from within the local community brought a number of reports of possible sightings of Leah but sadly none of these have turned out to be Leah. “But if there is somebody out there who knows where Leah is or where she was going please, please let us or the police know. “If you know or suspect anything at all about Leah’s disappearance, please report it, no matter how insignificant you think it may be. Many, many people have contacted the police and we are so grateful for the public response. “One further piece of information, especially when taken against what the police have already established, may be all it takes to find Leah. *Please note the footage from Buzzacott Lane is fast by one hour and 47 minutes. *Please note from Rutherford Gate is fast by 4m 38s.